From 1 February to 3 June next year, Mudec, the Museum of Culture of Milan, will open its spaces (and its pre-Columbian art collections) to the Frida Kahlo exhibition. "Frida Kahlo. Beyond The Myth" is curated by Diego Sileo, curator of Milan's Pac and a scholar of Latin American art, and promoted by the City of Milano-Cultura and 24 Hours Culture-24 Hour Group, partner of the Municipality in Mudec Governance and producer of exhibition. The exhibition has features of authentic novelty over the many that preceded it, as it is not focused into the tormented biographical story of the artist, who has so far dominated the reading of her works, but into the real artistic cultural heritage of her paintings. It is true that the "excessive" life of Frida Kahlo (1907-1954) offers more than a pretext for a mythical reading: a woman victim of a very serious accident that fractured her spine and condemned her to live with terrible pains, with corsets and cruel orthopedic surgeries; partner in a passionate and dramatic relationship with the painter Diego Rivera, eager to be a mother without ever being able to become; a passionate politician in post-revolutionary Mexico; a bisexual woman in a repressive society like the one in which she lived, Kahlo was predestined to be interpreted in a morbid way, like a sort of feuilletton. An interpretation to which she has long been condemned. "Frida Kahlo. Beyond The Myth "is an exhibition project that is the result of six years of studies and research, which aims at outlininig a new key to the artist's figure, avoiding forced reconstructions, systematic interpretations or biographical readings. The exhibition will gather at a single venue for the first time in Italy, and after fifteen years since the last time, all the works from the Dolores Olmedo Museum in Mexico City and the Jacques and Natasha Gelman Collection - the two most important and extensive collections of Frida Kahlo in the world - with the participation of leading international museums that will loan some of the masterpieces of the Mexican artist never seen in Italy (including the Phoenix Art Museum, the Madison Museum of Contemporary Art and Buffalo Albright-Knox Art Gallery). 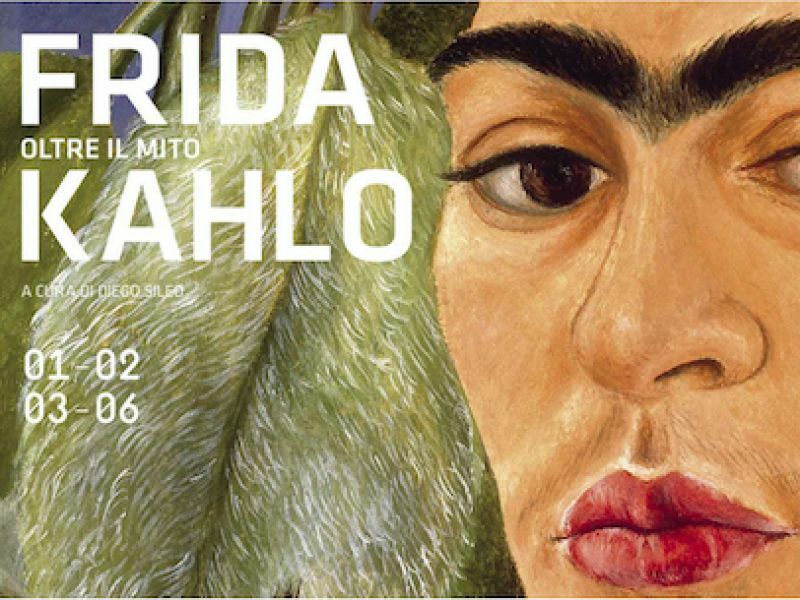 Click here for the list of lectures dedicated to Mexico and Frida , taking place at MUDEC from February to May (in Italian). For info about tickets and location go to the MUDEC website , following the link below.